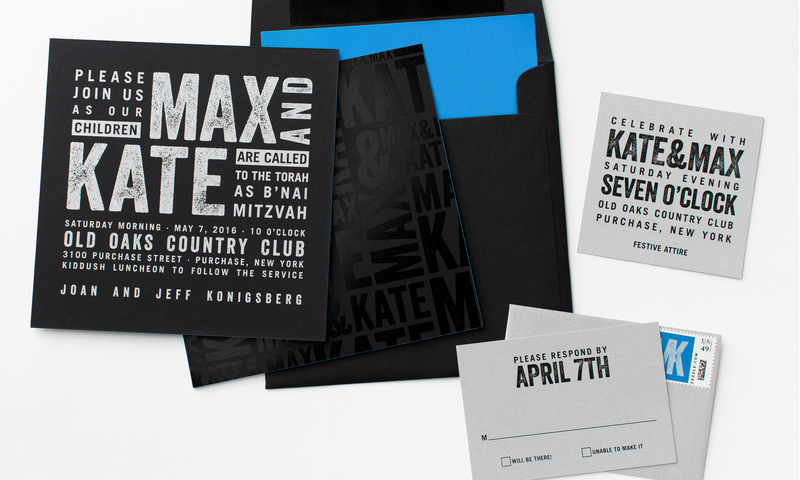 Boys and girls often have very different taste, so creating a B’nai mitzvah invitation for boy and girl twins can be tricky. This graphic black and silver invitation used a pop of bright blue to create a bright contrast, without being TOO feminine or masculine. 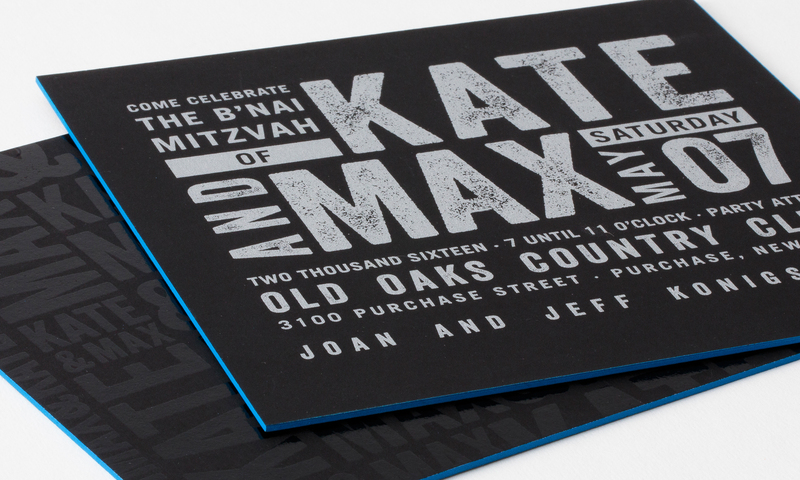 A textural name pattern on the back of thick, black paper added interest along with the blue edging.